EXCLUSIVE / The European Commission has finally decided to “look seriously” at the many problems plaguing Euronews, the TV station created in 1992 as a “European response” to CNN, according to official letters seen by euractiv.com. Euronews will be one of the topics to be discussed by the College of Commissioners today (14 February), Commission Chief spokesperson Margaritis Schinas announced yesterday. A letter dated 3 February by the Euronews employees to Commission Vice-President for Digital Single Market, raises many difficult questions with which the media is confronted. Worries among the personnel are increasing as a result of lay-offs and an ill-defined editorial project, the letter says. As EURACTIV previously reported, employees fear that Euronews is no longer an organisation with a European approach and with a European vision for its future, something that should be a given for such a channel. Euronews journalists passed a no-confidence vote in the broadcasters’ management and adopted a statement saying that their media could no longer be seen as an independent and balanced voice. One of the issues raised is the future of the Ukraine section following the discontinued funding. The Ukrainian service of Euronews was bought in March 2015 by Ukrainian oligarch Dmytro Firtash, who recently abandoned the project, which triggered another scandal, with the Russian service refusing to provide jobs to journalists from the Ukrainian service, in violation of French labour legislation. The Russian service of the French broadcaster Euronews – which is financed by Moscow – has refused to provide jobs to journalists from the Ukrainian service, in violation of French labour legislation, after the department was shut down and 17 journalists made redundant. The employees wrote that they are “proud” of their Ukrainian colleagues, thanks to whom Euronews provided “some of the best journalistic coverage of the Ukraine crisis in the European media panorama”. “To lose the voice of our Ukrainian desk is an inestimable loss,” the employees wrote. Similarly, the letter warns that the Turkish desk risks being eliminated, as a result of the discontinued support from the Turkish public television TRT. The letter also deplores that the Farsi and Arabic services would be switched to web-only editions, when there is a potential TV audience of hundreds of millions of people. “Our Iranian colleagues can testify to how big the attention was to our programmes in Farsi in Iran and Afghanistan. This interest risks being lost, by depriving viewers of European media content, carrying, through an irreplaceable channel, the European values, including human rights,” the employees wrote. The journalists warn that in a world confronted with rising populism and a loss of momentum for the European project, Euronews should continue its role of defending European values. “To give up would be a historic mistake on the part of Europe,” they stated. 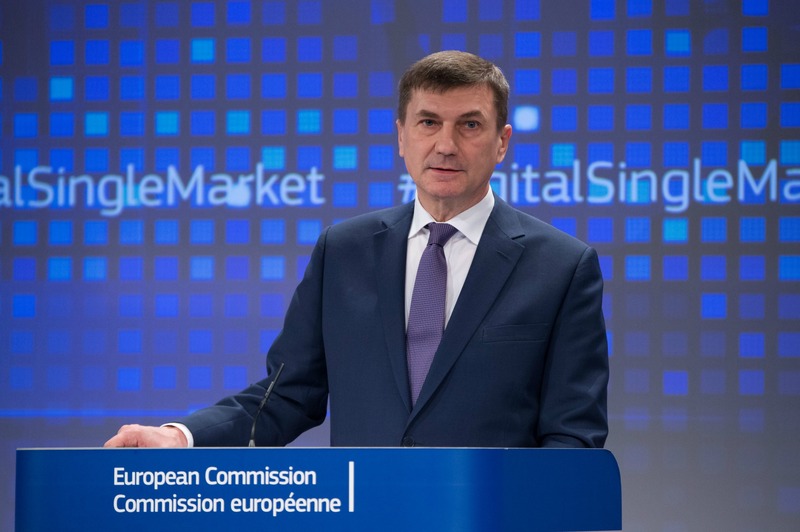 In a letter obtained by EURACTIV dated 10 February, Ansip answered that he “completely agrees” that Europe should continue to make its voice heard and defend its values. “I take your worries very seriously,” Ansip wrote. He adds that the Commission is studying the proposed “Strategic agreement” between Euronews and NBC Universal and “the consequences of such partnership on the editorial freedom and the European perspective” of Euronews. In February 2015, Egyptian billionaire Naguib Sawiris bought a majority stake of 53% in Euronews, following a visit by Vladimir Putin to his country. The deal raised a number of questions over Euronews’ future editorial posture and its independence. Last December, reports surfaced of talks with US broadcaster NBC News, who plans to buy a 15% and 30% stake in Euronews. Sawiris still plans to remain the majority shareholder. He wrote that the Commission trusts that Euronews will find the funds needed to ensure the continuation of its activities, as a European public service mission, in partnership with the European Commission. 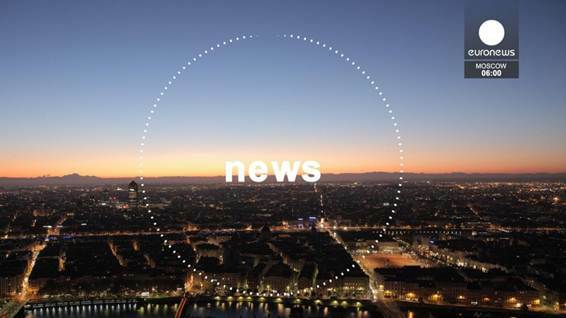 In 2016 the Commission granted Euronews €25 million. 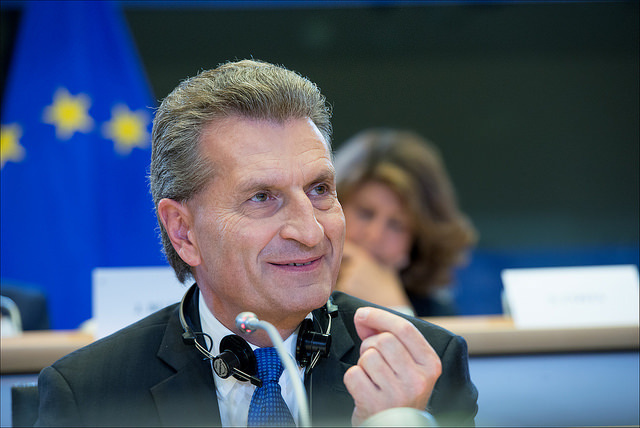 Recently Commissioner Günther Oettinger, who was still responsible for the digital portfolio, said this financing should be maintained for 2017, but also “redefining the Commission’s future relations” with the channel was needed. As a subscriber to Euronews, through the Dish satellite service in the USA, I have enjoyed several years of excellent programming. I must say, though, that if continuing the mission of telling stories from the perspective of European values is important, the notion of NBC Universal owning a stake in the Euronews service would be distressing. The general media in the USA has become homogenized and stale, and completely subverted by commercial and partisan interests. I have counted on Euronews for a different perspective from what I see in US media as well as coverage of sports, entertainment and local affairs in many countries that US media does not provide. The worst thing would be to harmonize Euronews with NBC corporate policy, which would potentially narrow the coverage of US international affairs to a state-restricted viewpoint as the US media has. The politicization and McCarthyist Russophobia that has so imbued the American social discourse has eroded public confidence in a country that once thought itself as a world leader. Europe, and Euronews in particular, would best serve your constituency with a more critical eye towards the USA and NBC Universal in particular, because the level of social intolerance and environmental degradation that is promoted by US Corporations would not meet the high standards that Europe has tried so hard to build. Good luck.